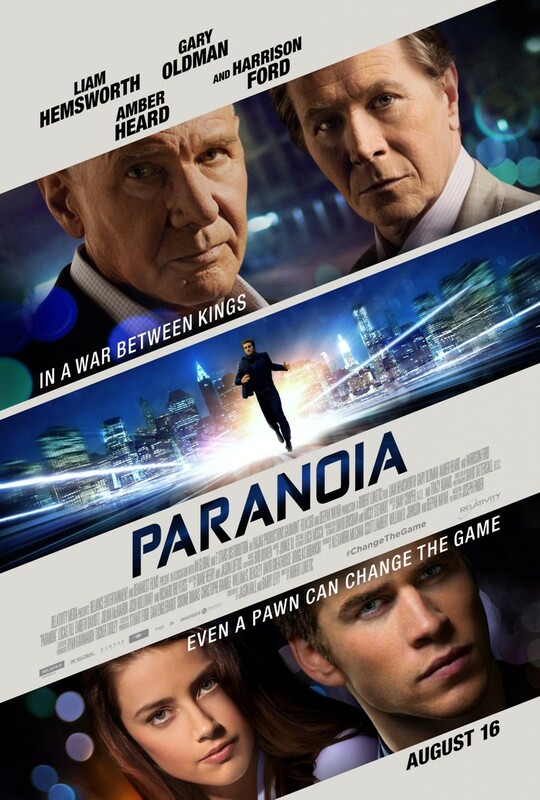 Paranoia DVD and Blu-ray release date was set for November 19, 2013. Nicolas Wyatt and Jack Goddard are both billionaires who have amassed their fortunes in technology. However, neither of them is content with his success. Instead, each is determined to bring the other down, thanks to not just greed but a deeply personal rivalry that goes back many years. Adam Cassidy is a clever and ambitious young man who is looking to make his mark on the world of business and ascend to the top as these men have. He finds himself seduced by both of them with offerings of almost unthinkable wealth and power, and he becomes caught up in the tangled web of deception that the two of them have woven. He's in so deep that both begin to see him as a threat.